As you know Meyer de Waal will be a special guest at the upcoming Real Estate Investor Magazine / Rode Property Conference to be held in Johannesburg in 19 August and Cape Town on 26 August 2015. We have secured “5 specials” deals and if you book 3 tickets, you can get 2 for free. » Contact Ray at our office to secure your special booking. Here are the links below to our interview on ‘Ask the Property Experts’ property broadcast on Business Day TV recently as a snippet of what is to come. The annual Rode-REIM Real Estate Conference will again be jointly hosted by Rode and REIM this year and will take place in August in Durban, Johannesburg, Bloemfontein, Port Elizabeth, Cape Town and Windhoek. Whether you are a beginner or seasoned market participant, Rode and REIM bring together the latest world and SA trends, education and thought leadership on real estate and investment. The events are sponsored by Wealth Migrate. “The new Consumer Protection Act (CPA) could lend property sellers and estate agents in hot water should they fail to allow buyers to scrutinise all relevant documentation prior to signing a sale agreement. Conveyancing attorney Meyer de Waal in consultation with key industry associations and service providers, has created the Property Transaction Kit (PTK), which aims to protect all parties involved in a property transaction and allows for a structured process through which all parties can access relevant compliance material. ‘Once a seller registers for the service, the PTK team will access a database of accredited service providers to source all the relevant documentation and issue certificates of compliance pertaining to the property.’ Says Meyer. ‘The documents are then loaded onto a virtual “property vault” on the PTK portal. There the seller, estate agent, buyer, attorney or bank can access the information securely.’ Such a kit may prove crucial in terms of the CPA, property buyers can now attempt to hold sellers and their estate agents responsible for defects or non-disclosure of property faults, even months after taking ownership. Past property sales contracts typically included a voetstoots clause protecting sellers from defects that buyers could identify, but not against defects that the seller didn’t know about and therefore could not disclose. 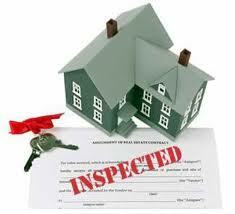 Sellers must now ensure the inspection and evaluation of sale properties by accredited service providers. Buyers can agree to buy the property as is, or they can request that the seller repair any faults before purchase. More coverage for PTK in the news. If you are an estate agent, potential property seller and or buyer, I highly recommend you read this article. Another great coverage for the PTK in the news (property.iafrica.com). The Consumer Protection Act, which came into effect this month, could mean property sellers and estate agents are exposed to great risk should they attempt to market and sell a property without letting a buyer scrutinise all relevant documents before signing a sale agreement. But help is at hand with the launch of a new service, aimed at protecting property buyers, sellers and estate agents equally. Property Transaction Kit (PTK), the brainchild of conveyancing attorney Meyer de Waal, has been prepared in consultation with industry associations and service providers, and offers a structured process through which to gather required compliance material, in order to ensure a smooth transfer. The service is available to buyers, sellers, estate agents and attorneys, and enables them to compile or have secure online access to all the documents and certificates of compliance related to the sale of a property. “Once a seller registers for the service, the PTK team will access a database of accredited service providers to source all the relevant documentation, and issue certificates of compliance pertaining to the property. The documents are then loaded onto a virtual property vault on the PTK portal. There the seller, the estate agent, the buyer, the attorney or the bank can securely access the information,” Mr. de Waal says. “The seller can, after viewing the various reports, either decide to improve the property’s condition or simply share the documentation with the potential buyer, so as to disclose the true condition of the property. Potential buyers can also request access to this comprehensive report to help them decide whether or not to put in an offer,” he says. Mr. de Waal says for years the lack of strong consumer protection laws has left ill-informed property buyers at the mercy of sellers and estate agents, who often sold properties voetstoots. The voetstoots clause used to protect the seller from defects that the buyer could identify during a viewing of the property, but not against defects that the seller did not know about, and thus could not disclose to the buyer. Without knowing the true condition of the property, many buyers had to fork out a substantial amount to repair their homes, resulting in serious implications for their budgets and their ability to meet other financial obligations after taking ownership. Most buyers do not know to request relevant information about a property in which they are interested, and seldom ask for even basic documentation, such as a copy of the title deed, current and approved building plans, or zoning certificates. Mr. de Waal says the new act places greater responsibility on sellers and estate agents to facilitate a transparent sales process. The service includes the efforts of convenyancing attorneys, theInstituteofPlumbersof SA, the Electrical Contractors Association, and other service providers in the property sector.